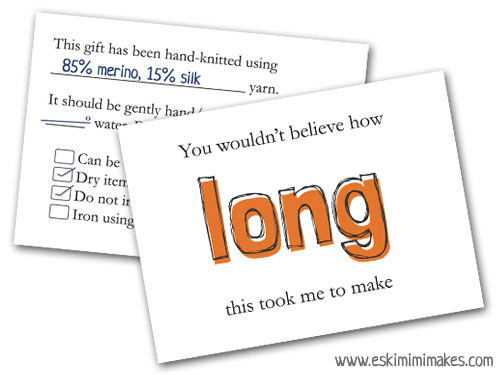 A few years ago when I very first started knitting I created and shared a few gift tags that I had made to adorn my hand-knits, with care instructions and room for a message and any spare buttons or lengths of yarn or thread to be attached. At the time I thought that I was on to a winner and that I would knit all of my gifts from that point onwards. That idea has now gone by the wayside, simply because I am more understanding of just how much time and effort goes into creating every hand knit, especially now that my standards as a knitter have improved. Still, I do want to make the occasional hand-knitted gift and like to hope that they might be appreciated. To help ensure that they are, I have created these new, more realistic gift tags. They are not only useful and a great way to make sure that all your hours of hard work are not shrunk to a 30% facsimile of they former selves in a single ill-fated trip to the washing machine, but also convey all of the effort that you have put into the creation of something handmade and unique in fun, tongue-in-cheek slogan form. 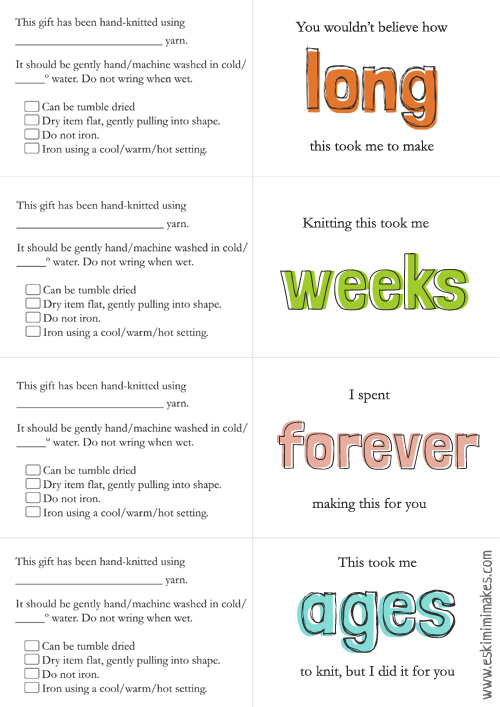 The knitters’ gift tags can be printed onto normal A4 white card and folded down the centre line. The reverse has a number of fields for you to fill in that will help the recipient of your gift to care for it for years to come. The inside is left blank for your own message or additional information, and there’s room for you to stitch a spare button to the inside of the card if you have used any on your knitted item, so that spare button and care instructions can always be found together. Matching gift tags for crocheted items are available to download here. The gift tags can be downloaded for free here via Google docs. The original, perhaps more traditional gift tags are also still available to download. Please feel free to link to these knitters gift tags, but please respect my copyright and give credit where appropriate. Enjoy! Note about download: The above link leads to a large, very high quality PDF file, which due to the size of the file may take a while to appear on your screen for you to print. Please be patient in allowing for it to download, but if a problem persists, please do not hesitate to get in touch. These tags are super cute and handy! Thanks for sharing. Happy knitting. The are cute. Would love to have some in crochet. What a great idea! I finally ordered tags finally, but they all say “hand wash, dry flat” and that is not always the case. I’ll have to hand these out with the exceptions. Thank you! I love these … and you’re absolutely right! 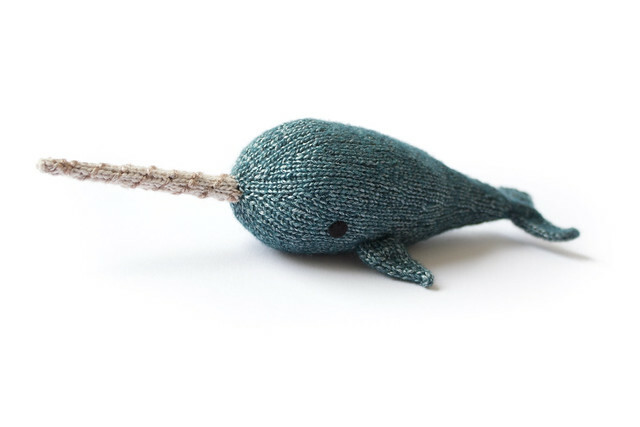 Our lucky recipients (who tend not to be knitters themselves) should know how much love, time, and effort it took to create these hand-made gifts. Thanks for the download. Thank you for posting these. Very clever. I am smitten with these! Thank you.